Bike for Europe is a cross-border cycling tour which aims to promote the bicycle as a sustainable and active means of transportation, physical activity in general as well as international co-operation between European countries with a special focus on the social inclusion through sport. Two teams of cyclists will cycle across Europe, starting on September 1st separately from two different countries, the Netherlands and Greece. 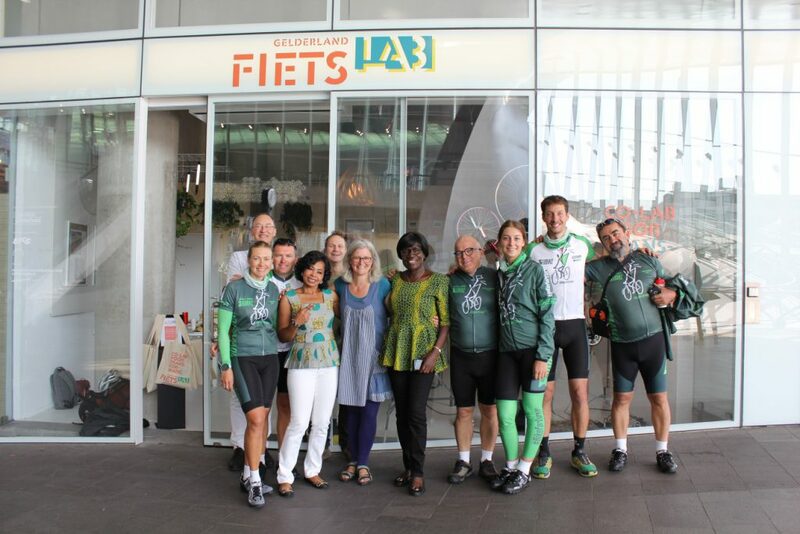 On Sunday, September 2nd, the Northern team made a stop at Fietslab Gelderland. 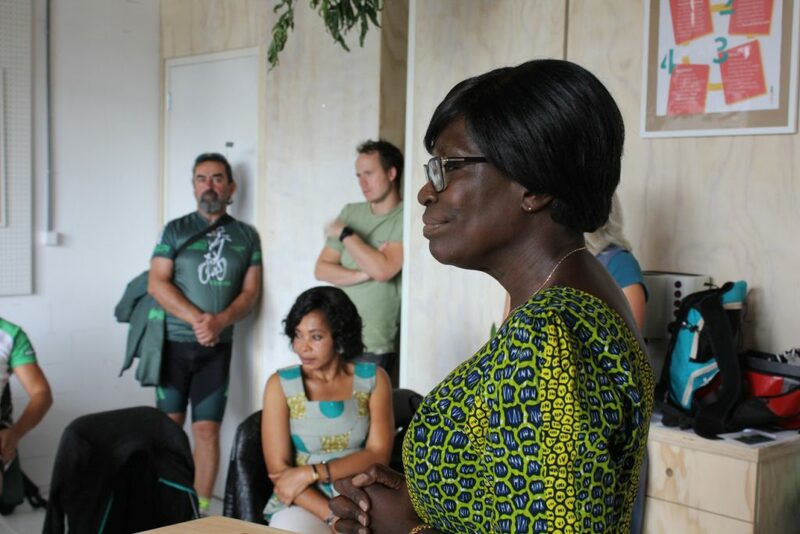 For this special occasion, Mobycon in collaboration with the Province of Gelderland presented Mama Agatha, followed by a Q&A with Agartha Frimpong. Here’s two nice photos from the event!